LifePharm is dedicated to conducting studies that clinically prove the effects of its product line. conducted by our Scientific Advisory Board. 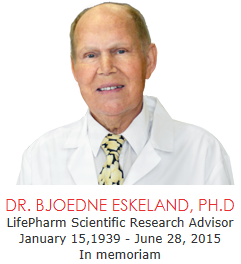 Dr. Bjoedne Eskeland was known globally as one of the leading experts on avian egg research. He received a Master’s Degree in Science at the Agricultural University of Norway, completed his Ph.D. in Animal Nutrition at the University of Missouri, Columbia, and served as a visiting professor in the Department of Nutrition at the University of California, Berkeley. and Wicky Suyanto evolved into a once-in-a-lifetime collaboration that yielded the unique product Laminine. service and contribution to LifePharm Global. We pay tribute to him for his genius, his generosity and his loyalty. 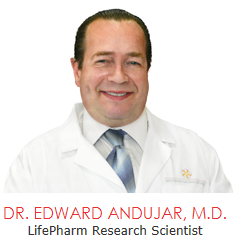 Dr. Edward Andujar, M.D. received his medical degree from Harvard Medical School in Boston and completed his residency at Temple University Hospital in Philadelphia. Dr. Andujar brings over 26 years of practical experience to LPGN in the area of Research and Product Development, Marketing and Medical Education, Alternative Care, and general as well as specialized medical practices. Dr. Andujar has hosted both television and radio shows to educate and inform the public on health issues and preventative health strategies. 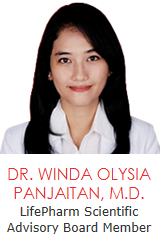 Dr. Winda Olysia Panjaitan, M.D. received her medical degree at the University of Sumatera Utara in Medan, Indonesia. Afterward, she worked as an Internship Doctor at RSUD Porsea in Toba Samosir and at Puskesmas Rawat Inap Ajibata in Toba Samosir. 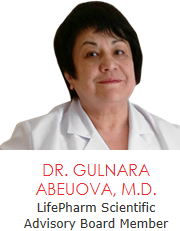 She has served as a General Practitioner at three different medical centers and is currently the Scientific Consultant for LifePharm Global Indonesia. Samina Ahmad, MD, HHC, ALC, AP & AFNC received her medical degree from the University of Punjab in Pakistan and began her medical career as an Internal Medicine Physician. Dr. Ahmad managed efforts to help underprivileged Pakistani women and children receive quality healthcare and advocated for healthy nutrition on Pakistani television. Expanding her healthcare expertise, Dr. Ahmad earned additional degrees and certifications that include Holistic Health Counseling, Ayurvedic Food & Nutrition, Educational Outreach, Primordial Sound Meditation and Ayurvedic Lifestyle. 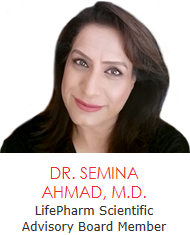 A Chopra University certified Perfect Health Consultant and Ayurveda Coach, Dr. Ahmad operates a wellness center in New York called ''Samina's Wellness'' and is the Founder/Co-Executive Director of the Salman and Samina Global Wellness Initiative.